Baton Rouge Vascular Specialty Center (VSC) is at the forefront of the vascular health field. 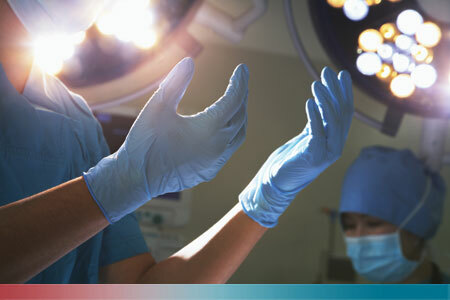 The VSC team performs innovative procedures not offered by other providers. While being committed to treating patients with today’s latest techniques and technology, we are also deeply involved in advancing disease treatments to ensure the best possible outcomes for not only future VSC patients, but patients worldwide. We are also helping to advance vascular care by being deeply involved in national and international clinical research. VSC is a designated center for clinical trials sponsored by the National Institutes of Health, including the largest randomized trial in North America comparing the use of two ways to prevent stroke, heart attacks, and death in at-risk populations. Dr. Andrew J. Olinde has participated in the trial from the very beginning. What’s more, our participation in past clinical trials has led to many of today’s advanced technologies and treatment protocols that are used by vascular specialists worldwide. We were one of four sites in the United States and only 12 sites in the world selected to participate in a trial of a new drug compound that may be proven to reduce the risk of stroke associated with carotid surgery. Our clinical research division was an active participant in recent trials to bring an advanced hemostatic agent (a drug that helps stop bleeding) to the market. We participated in two trial phases to assess the safety and effectiveness of this drug and have been ranked No. 1 in enrollment numbers for each phase. VSC was one of only 40 centers chosen nationwide to participate in a post-marketing trial of a new device that is FDA-approved to cut occluding plaque (atherosclerotic lesions) directly off the wall of a diseased artery. Ranked No. 1 in the United States. VSC ranked No. 1 in the United States in the use of Zymogenetics 499E01, a clinical trial that studied the effects of a hemostatic agent (a drug that helps stop bleeding) that is used in surgery on the access in dialysis patients. VSC ranked No. 1 in the United States and third in the world in the clinical trial SOV302 (GE HealthCare) that assessed the efficacy and safety of a contrast agent used for Magnetic Resonance Angiography (MRA) of the arteries and compares its image quality to angiography. VSC ranked No.1 in the nation for enrollment in the PREVENT V Multicenter clinical trial, a study testing the effects of treating the venous anastomosis during dialysis access surgery with a drug that can reduce narrowing and graft failure. VSC ranked No. 1 in the nation for enrollment in the C.O.M.P.A.R.E. study for the post-market evaluation of a vascular clip (U-clip) device shown to improve the maturity rate of AV Fistulas and durability of certain bypass procedures. Please contact our office if you are interested in research opportunities. Call us at (225) 769-4493. VSC is one of the only centers in the United States certified to offer laparoscopic aortic reconstruction. We have performed these procedures in selected patients with excellent results that have been presented at national and international scientific meetings. Our results have also been published in the Journal of Vascular Surgery, the leading peer-reviewed publication in the field of vascular and endovascular surgery. The VSC team has developed a registry of patient outcomes to optimize care. This registry provides consistent quality assurance and improvement by monitoring the complications and outcomes related to patients’ vascular procedures. The information is entered into a continuously evolving database that links the entire enrolled medical community, and it provides valuable insight for all participating physicians.